Virgin Islands News Online had first and accurately reported on October 1, 2016 that the retired legislator was taken to Peebles Hospital the day before after complaining of feeling unwell. It was also disclosed today that Hon O’Neal may be taken overseas for specialist care. The Virgin Islands first Premier Hon Ralph T. O’Neal OBE is a patient at Peebles Hospital in Road Town, the island’s main public hospital. The former Representative for the Ninth District was admitted to hospital late last evening September 30, 2016 after telling family members he was not feeling well. His condition has been described as stable but serious. 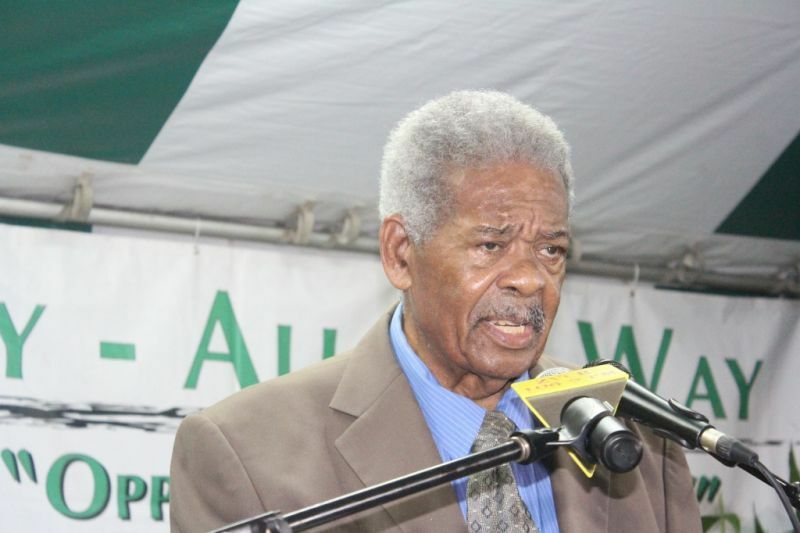 Hon O’Neal served the Virgin Islands in elective office for some 40 years from 1975-2015, and became the first Premier in 2007 after the constitutional review when the title was changed from Chief Minister to Premier. He took his Virgin Islands Party (VIP) to a landslide victory with 10 seats out of 13 in the 2007 general elections but lost in 2011. He retired from active politics in 2015 after this news site first and accurately broke the news that he would not be seeking another term. He was 82 at the time of political retirement. Who Is Hon Ralph T. O’Neal? Hon Ralph T. O’Neal OBE is one of several sons of Otto and Esther O’Neal and was born on December 15, 1933 on Virgin Gorda. Hon O’Neal is from the educated class, having received his education at St Mary’s School, Virgin Gorda, the St Kitts/Nevis Grammar School and Oxford University in England where he read Public Administration. Hon O’Neal entered the teaching service of the Virgin Islands at the age of 18 and began his long and illustrious public service career where he served as School Principal, Clerk of the then Legislative Council, Chief Education Officer and what is referred to today, as Permanent Secretary in the then Ministry of Trade and Production. Hon O’Neal had left the public service to enter the private sector. In 1975 he entered the political arena and was successful in being elected as the Representative of the then Seventh District, of Virgin Gorda. By 1979 there was a shuffling of districts and Virgin Gorda together with Anegada became the Ninth District. 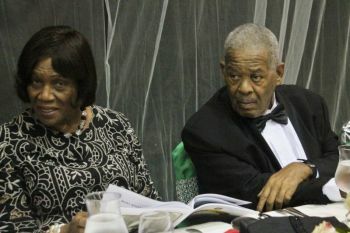 Hon O’Neal has served in every Ministry in government except the now Ministry of Communications and Works, and became Chief Minister in 1995 after the death of late Chief Minister H. Lavity Stoutt. It is Hon O’Neal who is directly responsible for well over 90% of all developments on Virgin Gorda and Anegada, from the many roads cut and paved, schools and clinics, police stations, post office, water, electricity, Government Administration Complex and docks, along with being in a position to approved many of the private sector developments on both Virgin Gorda and Anegada. One of Hon O’Neal’s lasting legacies is the creation of the London Office now the BVI House to secure the VI interest in London and the European Union. His VIP administration is also responsible for much of the development of the Virgin Islands, from the TB Lettsome International Airport, the new Queen Elizabeth Bridge, the Commercial Court, the College and the awarding of Crown lands to residents to build their first home on Tortola, Virgin Gorda and Anegada to name a few. The VIP led Administration built the first Cruise Ship Dock on Wickham’s Cay, introduced the clinic system throughout the Virgin Islands and constructed all the community centers and schools from Anegada to Virgin Gorda and Tortola. Alongside the late Chief Minister Stoutt, it was the VIP with Hon O’Neal that also developed the scholarship system whereby students are sent off to college paid for by the state. This system has educated some 5 generations of Virgin Islanders. Mr O’Neal has also been the longest serving member of Parliament in the English Speaking Caribbean and has outlasted in elective office other great regional political stalwarts like Trinidad and Tobago’s Sir Eric E. Williams- 25 years (1956-1981) and Antigua and Barbuda’s Sir Vere Cornwall Bird Sr- 34 years (1960-1994). Hon O’Neal told this news site in an exclusive interview in 2012 that Mr Bird was his political hero. The son of Virgin Gorda soil, Hon O’Neal also outlasted in elective office St Kitts and Nevis’ Robert Llewellyn Bradshaw’s- 32 years (1946-1978) and Barbados’ Errol Walton Barrow, QC,- 36 years (1951-1987) and Jamaican’s Michael Normal Manley- 25 years in elective office (1967-1992), Guyana’s Linden Forbes Sampson Burnham- 32 years (1953-1985) and also St Vincent and the Grenadines’ Sir James Fitz-Allen Mitchell- 34 years (1966-2000). 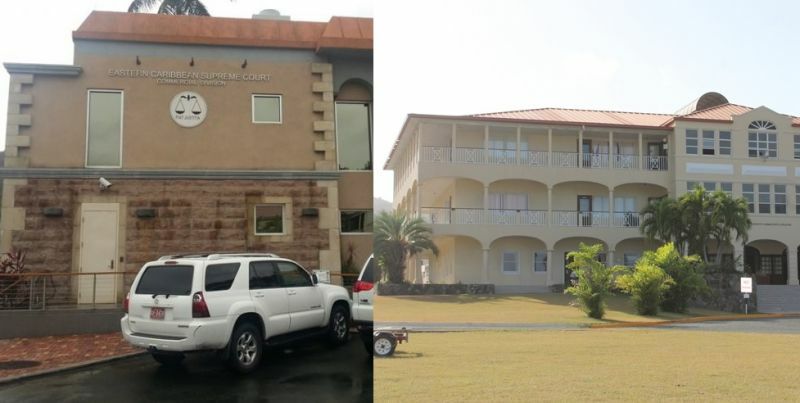 A steady stream of officials, including current Chairman of the Virgin Islands Party, Hon Julian Fraser RA, (R3) and VIP President Carvin Malone, along with many other relatives and friends, have already visited Mr O’Neal in hospital. Why you calling death on the man fool? ANY UPDATE ON THE MAN vino? Speedy recovery sir, you still got more in you. Missed your leadership for real. Aww mehn. So sorry to hear. He was definitely the second best Chief Minister we have ever had. Mr. Hamilton Stoutt being the first. I hope he gets well soon! One of the best leaders we had. Get well soon. God bless. Yes he's being airlifted to one of the lowest rated hospitals in the state of Florida and we have NHI to thank for that. Hopefully he'll be transferred to a much better facility once he's there God's willing. Get well soon state's man. With Christ in your vessel you can smile at any storm and you bin through some. What is the point of this new hospital if everyone has to be airlifted to florida? This NHI is just a waste of people's money. I thought their affiliated hospitals were in Jamaica and Panama.